Badger is a quick and aggressive animal, which will fight ferociously for what it wants. It lives in burrows and feeds of the roots of plants. As a power animal, Badger teaches the need to fight for your rights and to defend your principles against any attack. Badger emphasizes that you should take the initiative in any difficult situation, and not just accept it meekly. If the problem is an emotional one, Badger encourages you not to keep your feelings bottled up inside but to let off steam. Have a good cry. Blow your top. You will feel better afterwards. Badger is helpful in healing and harmonizing, encouraging you to look for unconventional means if necessary to affect a cure or result. Roots and herbs can help to restore your health. If the problem lies in a work situation, or is one concerning human relationships, the solution can be found at the roots. Badger is vicious, and attacks with powerful aggression. Badger is quick to anger and quicker to pounce. The power of Badger’s medicine is aggressiveness and the willingness to fight for what it wants. The very thought of facing Badger makes other animals run for cover. Like Skunk, Badger’s reputation precedes it. Its hissing fangs will tear less aggressive opponents to shreds. Badger is the medicine of many powerful medicine women, for Badger is also the keeper of the medicine roots. Badger sees all the roots of Mother Earth’s healing herbs hanging in its burrow home. These roots are a key to aggressive healing. Roots can ground negative energy into the Earth by allowing illness to pass through a body into the ground as neutral energy. Badger medicine people are quick to act in a crisis, and they do not panic. If Badger medicine is part of your medicine, you are quick to express your feelings, and you do not care what the consequences are. Badger people oftentimes insist on carrying the ball for the touchdown. This attitude, however, does not endear them to their teammates. 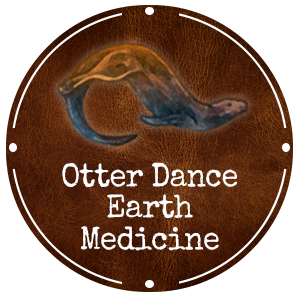 Badger medicine may also point to the aggressive healer who will have the courage to use unconventional means to exact a cure. Like the mother who sits for days nursing a child with high fever, Badger is willing to persist. Badger people can be vicious gossips, or may exhibit a chip on the should, if they are out of balance. You can be sure that people with Badger medicine will be aggressive enough to make it to the tops of their chosen fields, because they do not give up. They are also the finest healers, because they will use any and all methods to ensure healing, and will not give up on the critically ill.
A Badger person is often the boss, and the one what everyone fears. That same boss will surely keep any company afloat. Badger gets the job accomplished. Badger is certainty is a source of strength. If Badger has pushed its way into your life today, it may be telling you that you have been too meek in trying to reach some goal. Badger asks you how long are you willing to sit and wait for the world to deliver your silver spoon. In this medicine, the key is to become aggressive enough to do something about your present state of affairs. Badger is teaching you to get angry in a creative way and say, “I won’t take it any more.” You must follow-up by keeping your eye on the goal. Honor the healing process as you express those inner feelings. Be aggressive, but do not cut others to ribbons on the way-that is too much aggression. use your anger to stop your lolling around, so that your doldrums of apathy are a thing of the past. Badger is powerful medicine when properly used for self-improvement. Remember that Badger may be signaling a time when you can use your healing abilities to push ahead in life. Heal yourself by aggressively removing the barriers that do not grow corn. Cut away the dead wood and use Badger’s aggression to seek new levels of expression. Use Badger’s medicine roots to keep grounded and centered in the process. Take charge of your life. Go for it. Trust your abilities.